I was very excited to start on the AEDM challenge when I went to bed last night. Unfortunately, my body decided it was the perfect time to wake up sick. So, now I have a stuffy nose, sore throat and an ear and headache. I’m hoping it maybe allergies of some kind. This little Zentangle isn’t exactly what I had in mind for my first creative day, but it is creative. 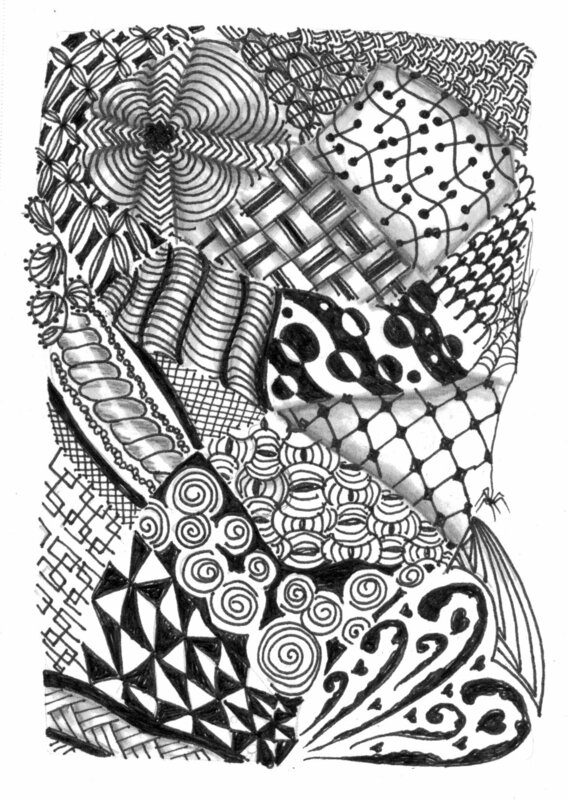 Zentangle.com – from Maria and Rick the creators of Zentangle . They have newsletters with patterns, kits available for purchase and class registration. This is their Blog. Tanglepatterns.com – has patterns galore! Wow! This is really neat! I’ve never heard of Zentangle but now I want to look into it. It looks like something my girls would love coloring in. I truly hope you get to feeling better soon!